Reliable Brix measurements even with fruit pulp or other particles in your beverage. 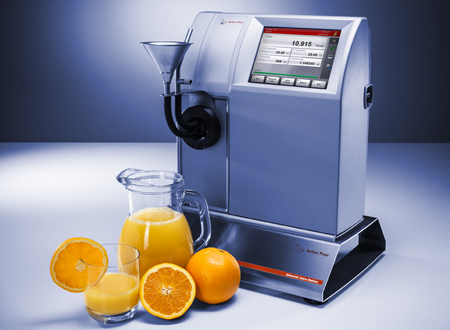 The vertical setup of the Abbemat Juice Station refractometer avoids sedimentation of particles, e.g. pulp in fruit juices, on the measuring prism. The attached filling funnel allows fast and easy serial analyses, e.g. in quality control. The next sample flushes out the previous one, so that you do not need to clean the measuring prism between samples. An internal temperature control assures the correct measuring temperature. 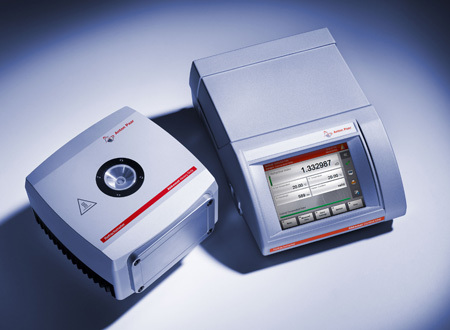 The measured data can be recorded and printed. 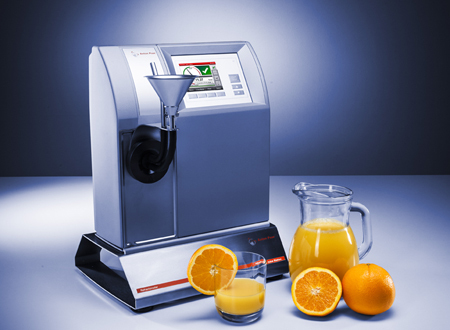 The Abbemat Juice Station models are easy to operate and the results are independent of the operator. A menu-guided adjustment procedure allows easy adjustment of the instrument. For cleaning, the measuring cell can be easily removed by loosening the supporting ring. The flow cell with filling funnel allows fast quality control in routine analysis. To fill this cell you just pour one sample after the other into the filling funnel. The new sample flushes the previous sample out. The limit check in the quality control mode clearly shows whether the result is "OK" or "not OK". 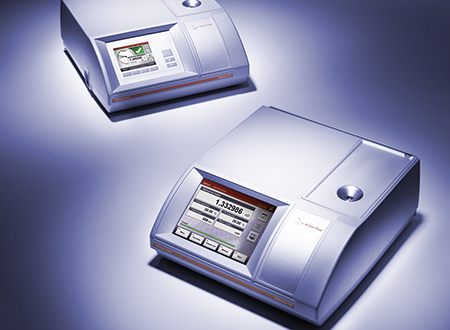 The Abbemat 300 Juice Station gives the position of the result on an easy-to-read dial compared to limits you define. 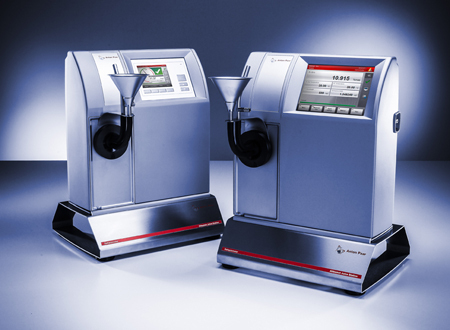 Abbemat Juice Station refractometers precisely measure and control the temperature of sample within seconds for precise Brix measurements. 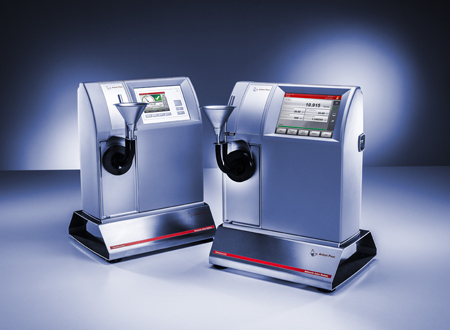 Abbemat Juice Station refractometers can perform automatic temperature correction that allows you to measure samples at any temperature and obtain the correct result for 20 °C. This saves you time because you do not have to wait for temperature control.